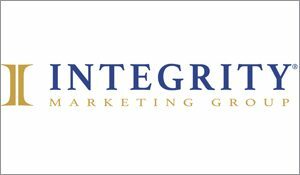 DALLAS — January 22, 2019 — Integrity Marketing Group, LLC (“Integrity”), the nation’s largest independent distributor of life and health insurance products, today announced it has acquired Tidewater Management Group (“Tidewater” or “the Company”), one of the largest distributors of Medicare Supplement and Medicare Advantage products in the Southeastern United States. As part of the deal, the company’s founder, Todd Fincher, becomes an owner in Integrity. Financial terms of the private transaction were not disclosed. Tidewater will continue to be led by Fincher and will operate under its own brand. All of Tidewater’s 25 employees will continue in their current roles in their Raleigh, North Carolina headquarters. Fincher and his team have built Tidewater into one of the largest insurance marketing organizations in the country. In 2018, Tidewater sold nearly $55 million of annualized premium and helped thousands of seniors plan for their Medicare and Final Expense needs. Tidewater has experienced explosive annual growth of almost 30 percent by offering superior service to its agent and agency partners. Joining Integrity will provide additional products and resources to accelerate the Company’s impressive progress. « Are Thoughts of Early Retirement Today’s ‘Irrational Exuberance’?